Meet the Core i7-8809G: A high-end Intel CPU and AMD Radeon Vega GPU, all on one laptop chip. Intel India kicked off the new year by (accidentally?) posting finer details about the hotly anticipated Intel CPU with AMD Radeon graphics launching later this quarter, officially dubbed the Intel Core i7-8809G. Those details seemingly confirm one rumor about the processor—and dispels another. Most notable: The chip will use AMD’s high-end Radeon Vega graphics cores, rather than the “Polaris” GPU found in mainstream graphics cards like the Radeon RX 580. That’s no surprise considering the processor’s use of HBM2 memory, which Vega GPUs utilize, but rampant Internet rumors suggested the Intel chip would instead pack Polaris cores. Don’t believe everything you read on the Internet, people. The story behind the story: The comparison isn’t a firm indicator of final performance—Vega runs faster than Polaris, and we have no idea how many graphics cores this Intel chip actually has—but it’s an encouraging sign that this CPU’s visual firepower could be nothing to sneeze at. Also note that the RX 550 for desktop PCs sports 8 compute units; the first Ryzen Mobile laptop CPUs include 10 Vega-based compute units in their scant 15W TDP. A lot more Vega cores could conceivably be crammed into the Core i7-8809G with 50-ish watts of power to dedicate to graphics. Intel declined to specific what processor architecture lies in the heart of the Core i7-8809G at the chip’s announcement. The 8000-series name means it will be part of the convoluted 8th-gen lineup, but the actual specs for the CPU suggest it’s based on a 14nm Kaby Lake architecture, rather than the next-gen 10nm “Coffee Lake” architecture coming sometime this year. Details about the Coffee Lake laptop lineup were reported on by Anandtech, and every Core i7 chip included 6 CPU cores. Intel India says the Core i7-8809G has 4 cores with hyperthreading enabled—just like Kaby Lake H-series chips. 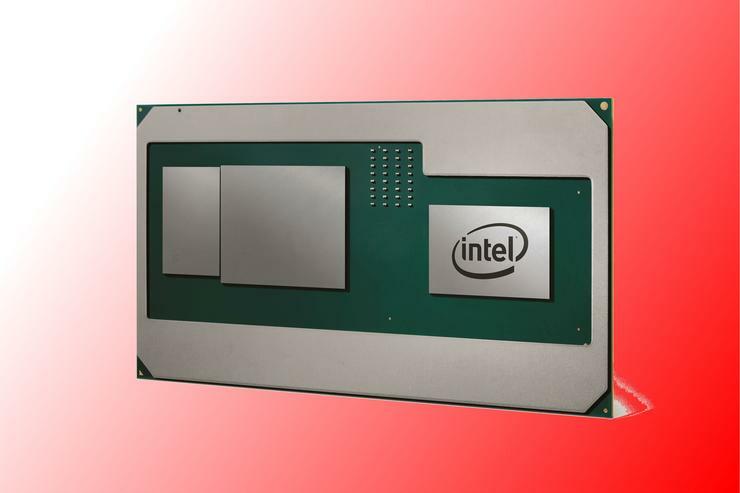 The listing also identifies the integrated Intel graphics as “HD Graphics 630.” The integrated graphics inside Intel’s new 8th-gen CPUs use “UHD” branding instead. That all lends credence to the “Kaby Lake G” rumors swirling around the web. Interestingly, the listing for the Core i7-8809G is on an Intel India page about overclocked processors, next to socketed desktop chips like the Core i7-8700K and Core i9 CPUs. Intel plans for this chip to bring gaming to thin, light laptops. Will you be able to overclock it? Will the Core i7-8809G eventually be made available to home builders in some way? Was its inclusion here just a mistake? Plenty of questions remain. We’ll likely receive firmer information soon. Intel and AMD said they plan to launch their Franken-chip in the first quarter of 2018, and the annual CES tech-travaganza is next week. Stay tuned. In the meantime, check out PCWorld’s original coverage of the Intel/AMD chip. We talked with executives from both companies and dived into fine details like driver support and how Intel’s “Embedded Multi-die Interconnect Bridge” made this processor possible.